Plantain (Plantago lanceolata/major) has been used traditionally as an exceptional drawing herb; to draw out infections and detoxify the body. 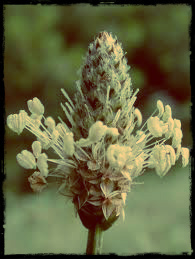 Plantain is used topically for everything to cracked dry skin, to psoriasis, to bee stings and itchy bug bites. I make plantago infused oil with my own wild harvested plantain leaves and organic oils, Infused for at least 1 moon cycle to extract all of the herbs potency into the oil. You work with such reverence with the Plants, Dan! I am looking forward to bringing these consciously and lovingly made Medicines into my home and into my Life for myself and the many I care for! Thank you!